A training on “Internal Credit Risk Rating System (ICRRS) and CRM Policy” was organized at AB Bank Training Academy which was attended by the Senior Officials of the Bank. The training program was inaugurated by Mr. Kaiser A. Chowdhury, Director, AB Bank Limited. 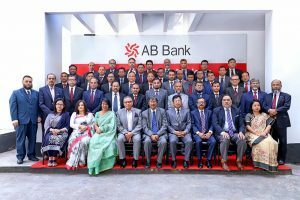 During the inauguration Bank’s President & Managing Director (c.c) Mr. Tarique Afzal and other Senior Executives were present.